What is the meaning of the word "wild" in the first paragraph? Which new technology has allowed scientists to learn new things about wild dolphins? What is another good title for the story's section "A Better Understanding"? "How to Train a Dolphin"
Dolphins born in captivity can't simply be placed in the wild. What evidence supports this claim? Dolphins travel up to 100 miles a day in the wild. Dolphins dive down hundreds of feet. Dolphins interact with other animals. A dolphin's mother teaches it how to eat, hunt, and stay safe. 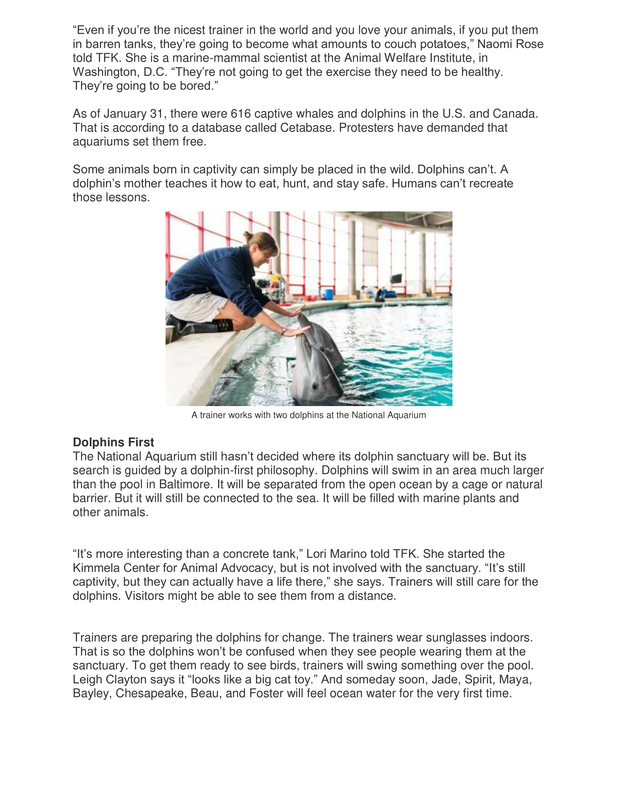 As of January 31, how many captive dolphins were in the U.S. and Canada? how trainers prepare dolphins for a new habitat. 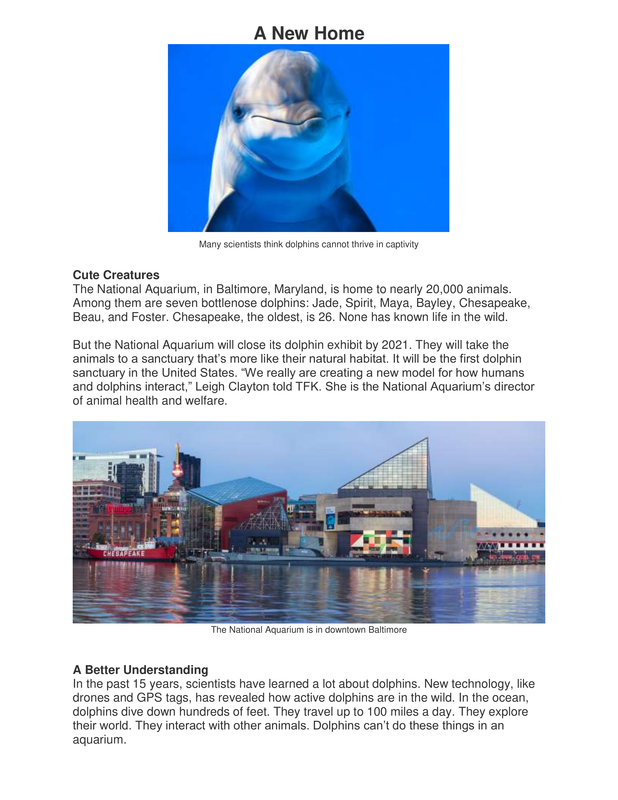 How would a dolphin's life in a sanctuary compare with life in an aquarium? Use evidence from the text to support your answer. Which would you rather visit, a sanctuary or an aquarium? Why?